As 2012 draws to a close it’s time to look back and ponder the meaning of Life, the Universe and Everything or at the very least the books I’ve read. 2012 was a very slow year for me. Reading 122 books in 2011 induced a severe case of reading burn-out which I just couldn’t seem to shake no matter how hard I tried. With all the great science fiction books released this year my TBR-pile kept growing while I was frantically trying to take things one page at a time. A battle I simply couldn’t win. 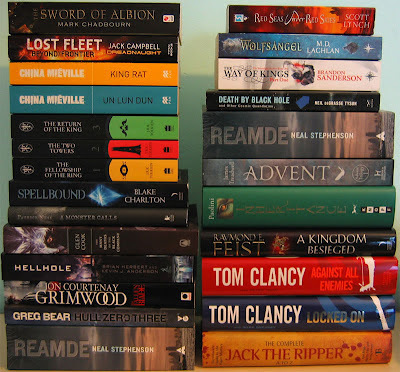 I only managed to read 41 books this year which came as quite a shock since I initially planned to try to beat my 2011 total. One good thing that came out of my burn-out is that I discovered a newfound love for short stories. Before this I never read much short fiction, choosing to stick to those epic tomes you need to lug around in a cart. The short stories were a breath of fresh air which got me through those tough times when I didn’t feel like reading anything. Surprisingly enough I ended up reading a total of 133 short stories/novellas. 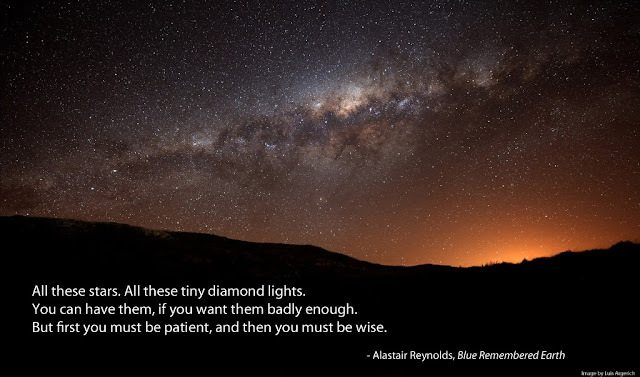 I’ll definitely be making some time for more short fiction in 2013, dynamite comes in small packages and some of the stories packed quite a wallop. Since I didn’t get to many of the big releases of 2012 it would be a bit counterproductive to try to compile a ‘best of 2012’ list, but I do want to highlight 2 novels I’d pick as my top reads of the year. 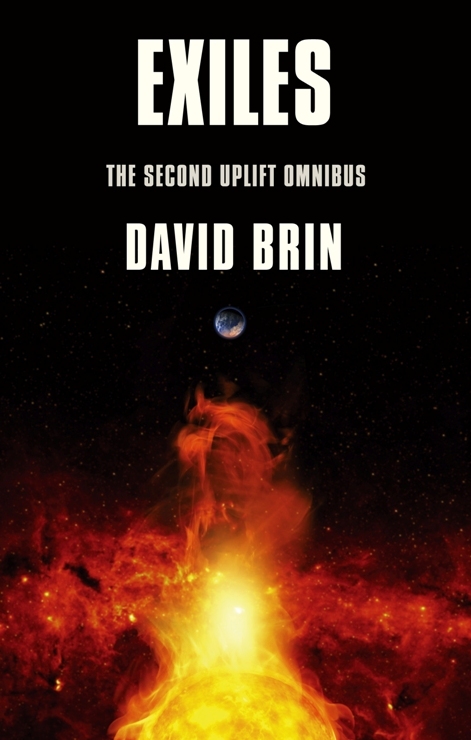 A superbly written, optimistic view of humanity’s future in space. 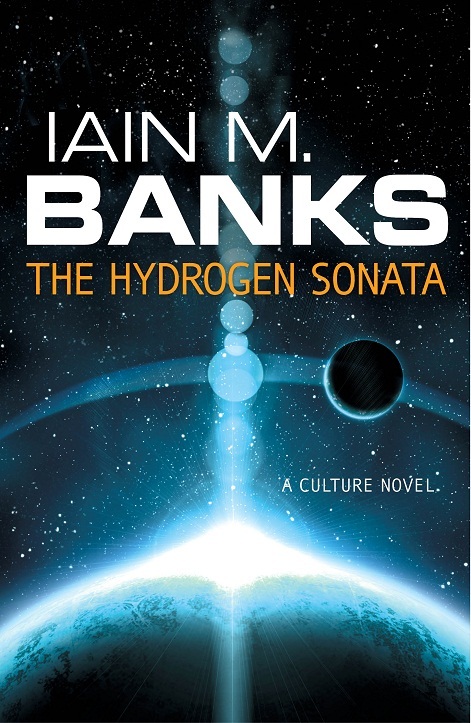 The novel is brimful of stunning ideas and believable near-future technology that kept me engrossed to the very last page. 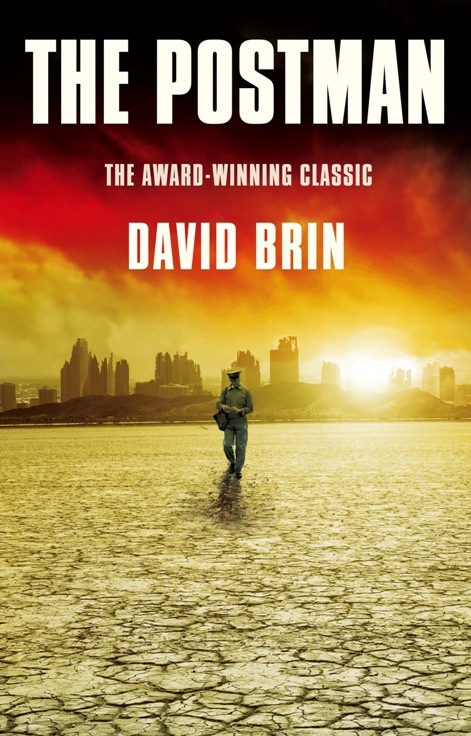 A completely engrossing read that just brought the characters and their environment to vivid life. I just couldn’t get enough. 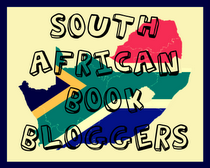 I’d like to take this opportunity to say a huge thank you to all the publishers - Jonathan Ball, Pan Macmillan South Africa and Penguin Books South Africa for their encouragement and continued support. 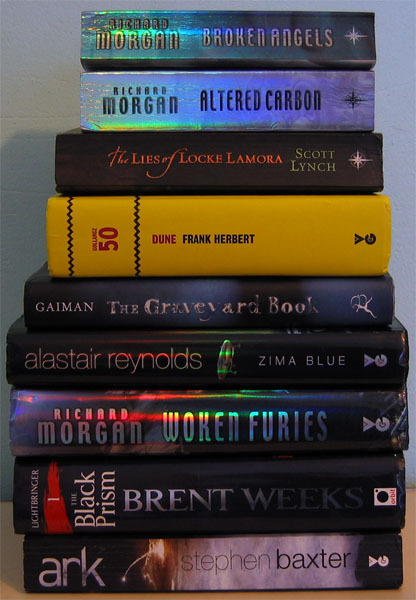 I didn’t read as much as I wanted to, I neglected the blog far too much and I didn’t catch up on the series I intended to, but overall 2012 was a pretty good year. Pretty darn good. Happy New Year! I hope that 2013 will be filled with tons of books, but more importantly, that you will have enough time to read them all. 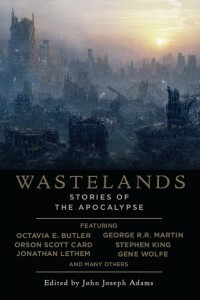 Email StillHere@nightshadebooks.com and you'll receive an auto response from us with a username, password and link to our download site where you'll be able to download the .epub or .mobi files of some of our most exciting and appropriately apocalyptic titles. You are automatically added to their mailing list, but you can unsubscribe at any time should you wish to do so. 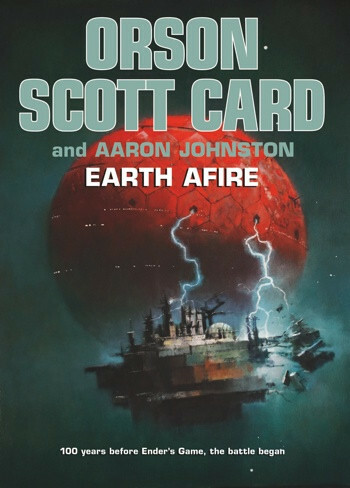 The cover and synopsis for Earth Afire, the second novel in the First Formic War series, co-authored by Orson Scott Card and Aaron Johnston has been revealed. I was completely drawn in by Earth Unaware (reviewed here) and can't wait for this one to be released. 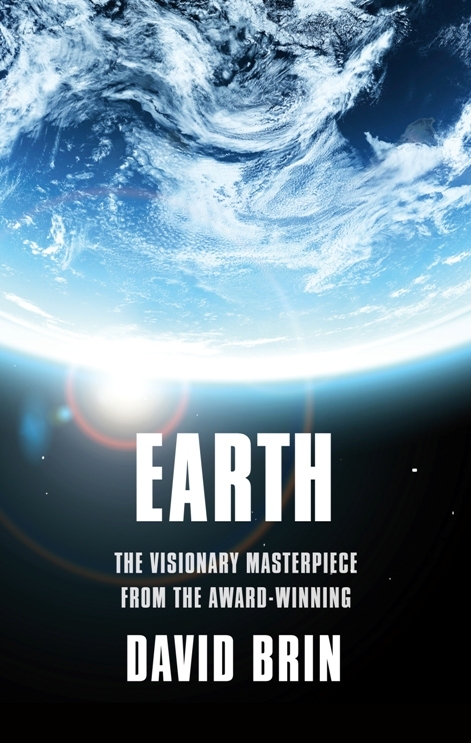 WARNING: If you haven't read Earth Unaware yet, you might want to skip the synopsis below since it contains some spoilers. 100 years before Ender's Game, the aliens arrived on Earth with fire and death. This is the story of the First Formic War. To celebrate thanksgiving the folks at Night Shade Books are giving away 3 of their most popular ebooks. It's been ages since I did one of these, but that's an unintended result of cutting back on book purchases. I must say I'm weirdly proud of myself for lasting this long. 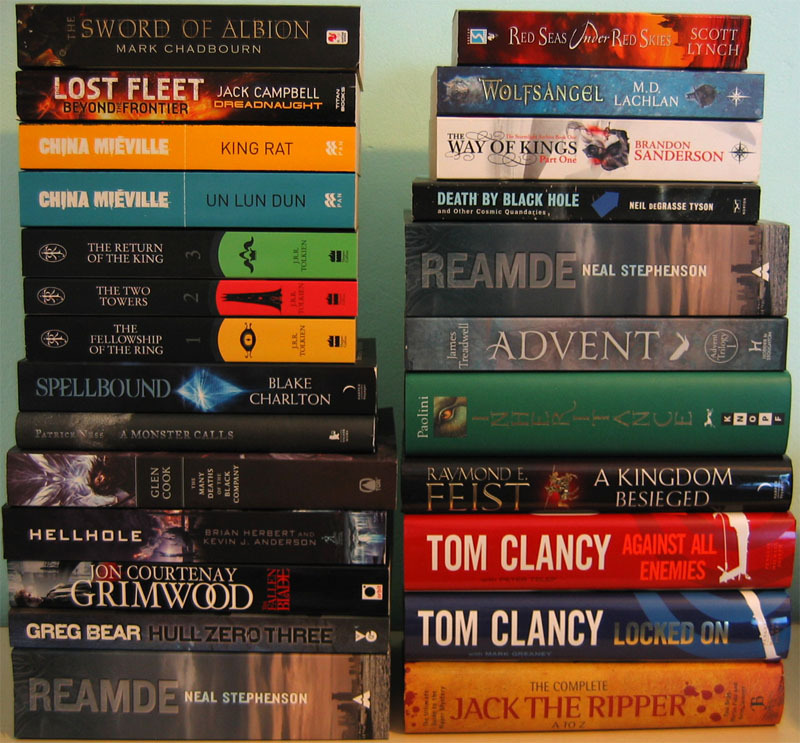 I think I've only bought about half the number of books I did last year. A small triumph in that eternal battle against the TBR-pile. My pre-order of The Blinding Knife by Brent Weeks finally arrived. 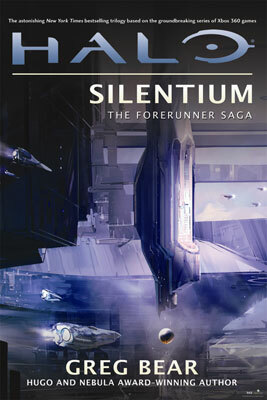 I loved The Black Prism, so I'm really looking forward to delving into the second installment in the series. I also managed to set foot in an actual brick-and-mortar bookshop, which was quite an experience for a geographically disadvantaged lad like me. My closest bookshop is almost 260 kilometers away so I have to depend on online purchases for all my bookish needs. I couldn't leave without at least buying a couple of books so I got October Skies by Alex Scarrow and The Night Eternal by Guillermo Del Toro and Chuck Hogan. If the shop was better organised and I had a bit more time I would've left with loads more, but I guess I'll have to count it as blessing that I was pressed for time and that finding anything appealing was a bit of a chore. 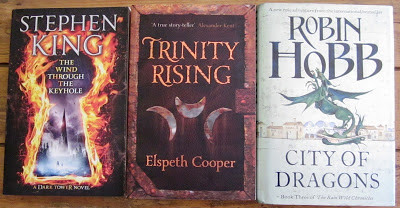 The awesome folks at Jonathan Ball Publishers sent me The Wind Through the Keyhole by Stephen King, Trinity Rising by Elspeth Cooper and City of Dragons by Robin Hobb to review. 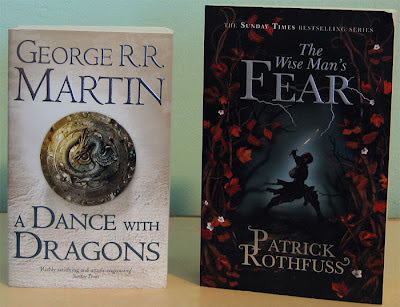 I'll first have to get the earlier novels in the Rain Wild Chronicles and The Wild Hunt series before I can get to these, but I'm definitely putting The Wind Through the Keyhole next on my reading list. Thanks Andrea! TOR UK has revealed the revamped covers for the reissue editions of Gary Gibson's Shoal Trilogy and they are amazing. 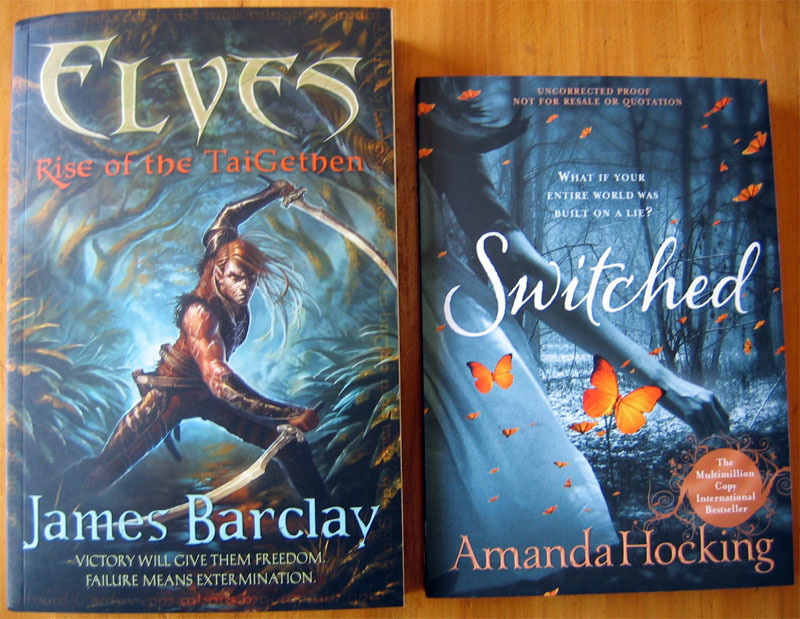 I like these far more than the old covers (which are still waiting patiently on my TBR-pile). Had I known these were in the pipeline I would've waited a bit longer to buy them. For a hundred and fifty thousand years, the alien Shoal have been hiding a terrible secret behind a façade of power. In the twenty-fifth century, they dominate the galaxy and control all trade and exploration, possessing the secret of faster-than-light travel. Mankind has established just a handful of interstellar colonies; their freedom and knowledge of the galaxy limited by the Shoal’s punitive colonial charter. Dakota Merrick is a machine-head pilot on the run from one of the Consortium’s most powerful criminals. 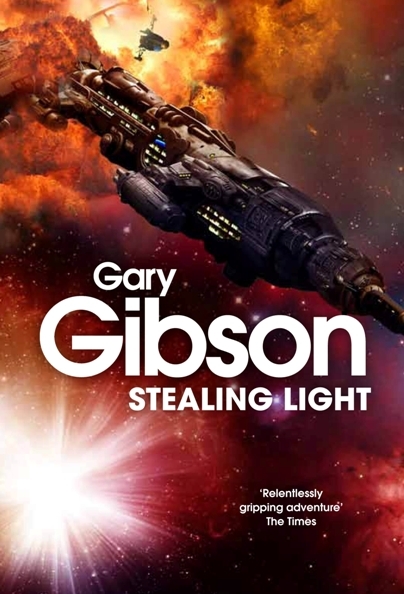 Desperate for escape, she contracts to ferry an expert team to a remote star system. Her passengers hope to scavenge a functioning FTL-drive from a derelict starship – rumoured to pre-date the Shoal. But they’ll expose an ancient genocide the Shoal will do anything to hide. And Dakota will be forced to face demons from her own military past. Found adrift far from Consortium space, pilot Dakota Merrick and Lucas Corso are taken prisoner by the alien Bandati. There, Dakota discovers that humanity’s knowledge of the galaxy is frighteningly inaccurate. The Shoal has apparently been fighting a frontier war with a rival species, the Emissaries, for thousands of years. As yet, the latter seem unaware of their FTL technology’s full destructive capabilities. But the Bandati now have this information, and they will use it for profit. Dakota realises, to her shock, that the Shoal may therefore hold the Galaxy’s best chance for peace. Forging an alliance with Trader, a Shoal-member, she’s determined to prevent the Bandati’s deadly knowledge from reaching the Emissaries. 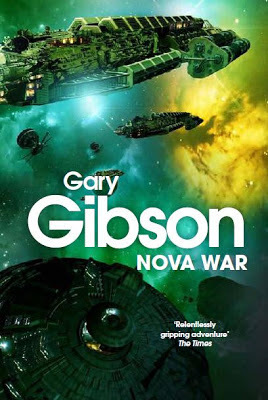 Yet despite her efforts, a nova war now seems inevitable – a war that will destroy millions of inhabited worlds. The nova war spreads across the galaxy, as the Emissaries wage a fierce and reckless campaign. They’ve already reached human-occupied space and forced the alien Shoal into a desperate retreat. And when Dakota leaves to pursue a lead, Corso’s luck turns bad. Now commanding a fleet of human-piloted Magi ships, his authority crumbles before assassination attempts and politically motivated sabotage. Their best hope lies with Ty Whitecloud, currently light-years beyond Consortium borders. Only Ty can decipher messages left behind by ancient star travellers – which could be crucial to their cause. But Whitecloud is imprisoned onboard a dying coreship, awaiting execution for war crimes against Corso’s own people. For humanity’s very survival, Corso must get to Whitecloud and keep him alive … if Dakota doesn’t kill him first. You see, I've been on a forced hiatus due to technical issues. My internet connection decided it wanted to compete with a piece of string to see which one could provide the highest bandwidth - the piece of string won. After weeks of teeth gnashing, banging my head against a wall and sacrificing to the technological gods, the ADSL line finally got fixed. Unfortunately my woes continue since my ISP decided to move to a new backhaul provider and saying they are having some teething problems would be a very, very kind way of putting it. Now if your eyes haven't glazed over yet, here's some exciting news. The Book Depository is holding another '24 hours of offers' sale on Thursday, 8th November from 12:00 GMT. Each hour will see a new book being put on offer. You might be able to get great deals on some early Christmas shopping, so be sure not to miss out. You can find more details over here. I'm in a bit of a reading rut (again!) so I've been focusing on some other things. 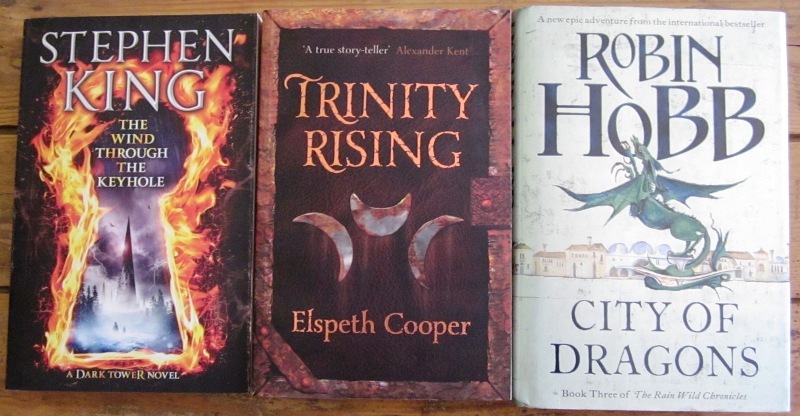 I'm hoping that as the weather changes I'll be able to get back to reading again. There are some great science fiction books being released in the coming months, so I definitely have to get myself back on track as soon as possible. 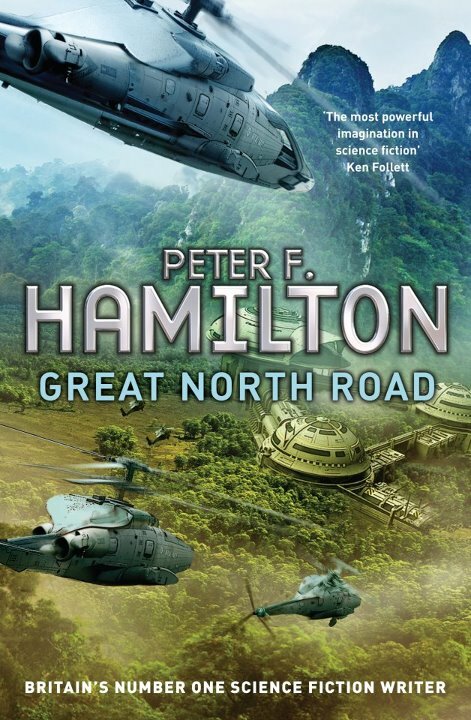 Google Play recently hosted a Google hangout with three of the bestselling British science fiction authors, Iain M. Banks, Alastair Reynolds, and Peter F. Hamilton - all authors I'm a huge fan of. If you missed the live hangout there's now a video available on Youtube. It was interesting to see these huge names in science fiction and how they interact with each other and fans. Their views on the genre and writing in general were also very interesting. Be sure to check it out if you've got an hour to spare. Definitely worth it. 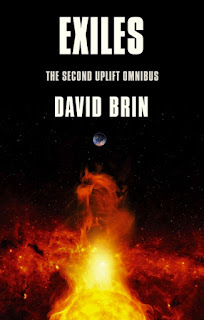 Orbit has just revealed the cover for the paperback version of David Brin's Existence as well as the amazing revamped covers for some of his backlist. 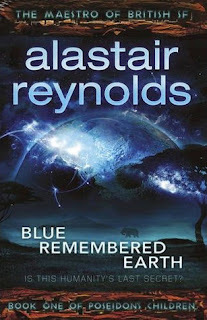 Release date - 1st November 2012. 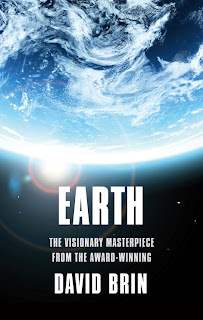 An alien artefact plucked from Earth’s orbit throws the world into chaos with both warning and a promise. For the movie mogul with a talent for spinning facts, the public doesn’t know what’s best for them. And for the reporter determined to discover the truth, the world needs to know what’s at stake. All are determined to hold off Armageddon. All will play their part in what’s to come. Circling the Sun, under the caverns of Mercury, Expedition Sundiver prepares for the most momentous voyage in our history. A journey into the boiling inferno of the sun, to seek our destiny in the cosmic order of life. 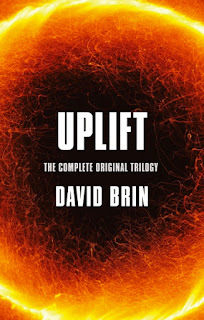 For in a universe in which no species can reach sentience without being ‘uplifted’ by a patron race, it seems that only mankind has reached for the stars unaided. And now, the greatest mystery of all may be explained . . .
On the distant planet of Jijo, six exiled races live side by side. Only ancient relics from their home planets remind the dispossessed of a more noble past, when they were full citizens of the Five Galaxies. The races of Jijo, it seems, have been forgotten, along with whatever crimes they committed. But for how long? It is at the time of the Gathering, the council of the sages, when the spacecraft is first spotted. For some, it offers a new hope. For others, it heralds a time of reckoning. Decades from now, an artifically-created black hole has accidentally fallen into the earth’s core. As scientists frantically work to prevent a disaster, they discover the entire planet could be destroyed within two years. But while they look for an answer, others argue that the only way to save the Earth is to let its human inhabitants become extinct: to let the million-year evolutionary clock rewind and start over. 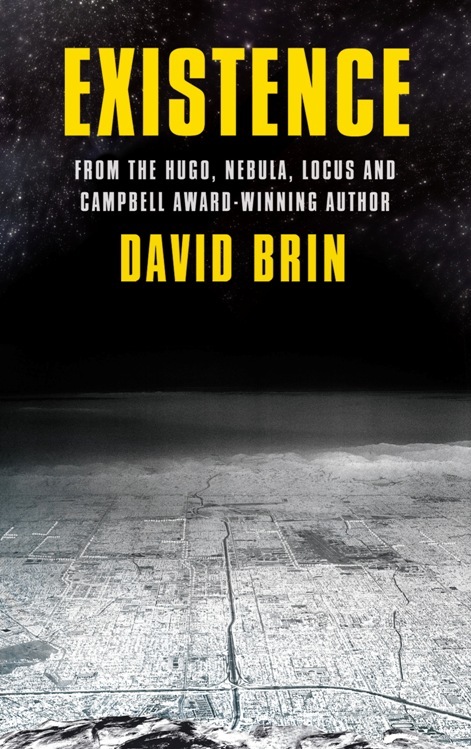 Earth is the Hugo and Locus Award-nominated novel that accurately predicted numerous future trends and earned David Brin a reputation as a visionary futurologist. 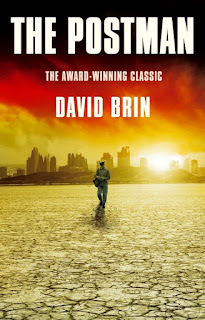 Against a background of global failure, THE POSTMAN is a powerful and affecting novel of the survival of the human spirit. Tor has just released a trailer for Earth Unaware co-authored by Orson Scott Card and Aaron Johnston which tells the tale of humanity's first encounter with the Formics. 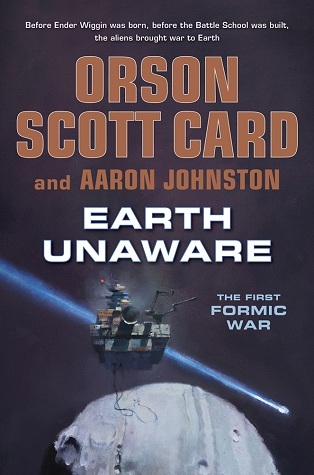 Read my review of Earth Unaware. 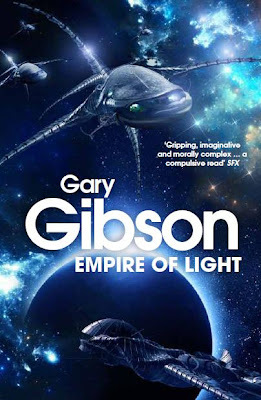 If you are a fan of Ender's Game then this should be on the top of your reading list. The time has finally come. Evil is back and hordes of hellspawn once again ravage the lands. I must heed the call to arms. It is with a heavy heart that I abandon my beloved tomes and the safety of my sanctuary, but evil cannot be allowed to go unopposed. I will stand! I will fight! I will triumph! Unfortunately this means that I will most likely be neglecting the blog (and my reading) for quite some time, so don't be alarmed if you spot a cobweb or two. 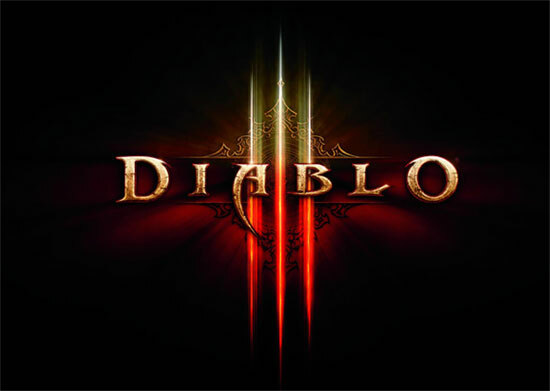 Things should return to normal once I get Diablo III out of my system. Fear is the oldest human emotion. The most primal. We like to think we're civilized. We tell ourselves we're not afraid. And every year, we skim our fingers across nightmares, desperately pitting our courage against shivering dread. 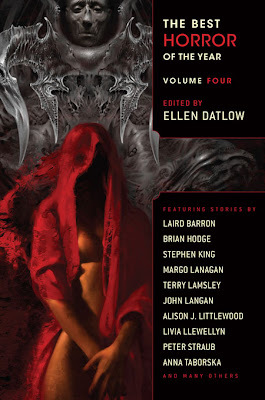 The Best Horror of the Year Volume Four edited by Ellen Datlow brings together an eclectic collection of some of the best horror short stories and novellas of 2011. The 18 stories and novelettes included in the anthology are diverse, ranging from the plain weird to the utterly disturbing. While two stories from big names in the horror genre, Stephen King and Peter Straub, start and conclude the collection it is the works of the lesser known authors that steal the show. 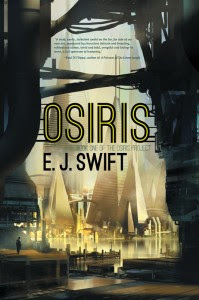 My favorite, and probably the most disturbing story in the anthology was Omphalos by Livia Llewellyn in which an incestuous family goes on a vacation which ends in tragedy. Some others that stood out were: The Moraine by Simon Bestwick where a married couple comes face to face with an ancient predator after getting lost while hiking in on a mountainside; The Show by Priya Sharma, a fake medium gets far more than she bargained for when she discovers she does indeed have the gift of second sight; Dermot by Simon Bestwick where the police force strike a terrible deal with a monster in order to protect the rest of the city and lastly, The Final Verse by Chet Williamson which explores the sinister roots of a beloved folksong. I only highlighted the stories which I enjoyed the most, but there are lots of other stories which might appeal to other tastes. 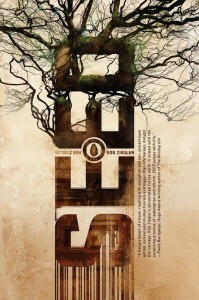 One thing is certain: after reading this collection you'll never look at the horror genre in quite the same way again. The Best Horror of the Year Volume Four offers a great collection of stories which are bound to please any horror fan. The themes explored are varied and thought-provoking, especially those that show that humanity itself is often far worse than the monsters hiding in the shadows. While some stories are more effective than others you are guaranteed to find at least one which will send shivers down your spine. It might be best not to read this one alone in the dark. Recommended! After my bout of sale madness I haven't ordered any new books, which is a huge accomplishment for me. I did however receive some orders which I'd placed at the end of March. 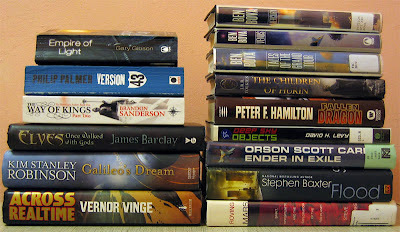 These are all used books from my two favorite online shops, Awesomebooks and Betterworldbooks. 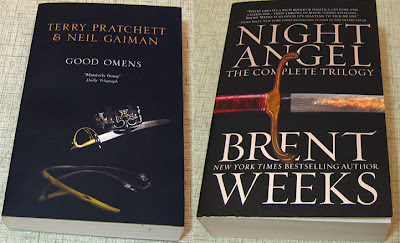 I also received my pre-order of the stunning omnibus edition of the Night Angel Trilogy by Brent Weeks. This is a truly gorgeous book. The photo can't do it any justice at all. 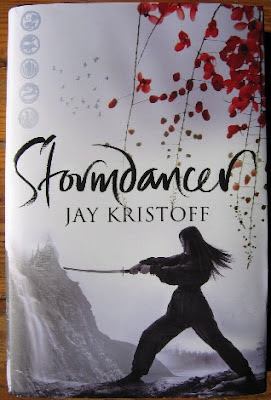 The cover is stunning with some amazing detail and it has some nice black embossing which doesn't show up in pictures. It also contains lots of extras including a map and 62 extra pages of bonus content. Well worth the money! 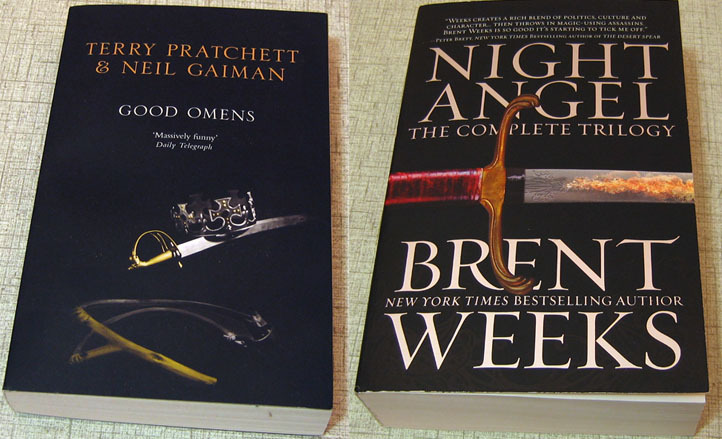 Lynsey Dalladay from Transworld Publishers was also kind enough to send me a copy of Good Omens by Neil Gaiman and Terry Pratchett. I've been meaning to read this for ages, but I just haven't gotten round to it. Thanks Lynsey! 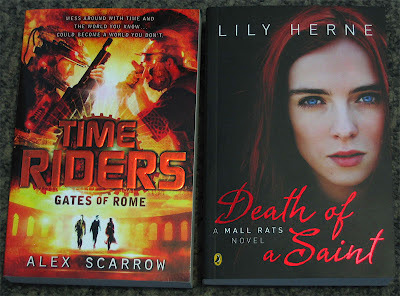 I also won a competition hosted by Kelly over at It's a Book Thing. The prize was a bit of a mixed bag, but it did contain some gems. Sadly my camera's batteries decided this was the opportune moment to give up the ghost, so I'm only going to list them. 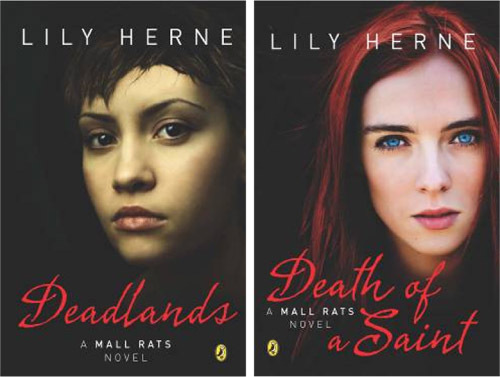 Penguin books South Africa has just released the cover art and synopsis for Death of a Saint, the second book in the Mall Rats series and the follow-up to the Cape Town based YA zombie novel, Deadlands (reviewed here). The new covers look great and are sure to appeal to the YA crowd, but I think they've lost that sense of horror which drew me to the first edition of Deadlands. Exiled from the city enclave for crimes against the Resurrectionist State, teen rebels Lele, Ginger, Ash and Saint – aka the Mall Rats – are hiding out in the Deadlands, a once-prosperous area now swarming with the living dead. 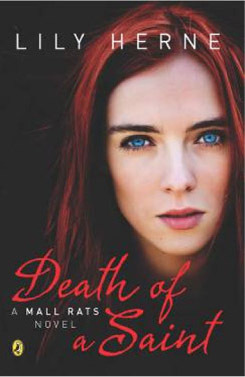 With the sinister Guardians breathing down their necks, the Mall Rats face a stark choice: return to the enclave and try to evade capture or leave Cape Town in search of other survivors. But what if the rest of South Africa is nothing but a zombie-infested wasteland? Lily Herne is the pseudonym of mother/daughter duo Sarah and Savannah Lotz. A fan of fake identities, Sarah also writes an urban horror series with author Louis Greenberg under the name SL Grey as well as various crime novels,internationally anthologised short stories and screenplays under her own name. Savannah, a die-hard fantasy fanatic,is currently in her second year studying screenwriting at the university of East Anglia. Both Death of a Saint and the new edition of Deadlands will be published in April and it seems you can already order them from your favorite South African bookshop. So what are you waiting for? Sometimes you come across an offer that’s just too good to refuse and which begs to be shared with others. This deal from Kobo is just that. 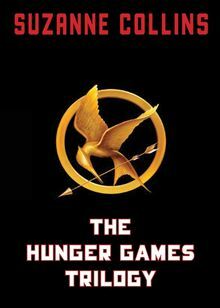 Until the end of March Kobo are offering an exclusive discount of 85% on any ebook title in the Hunger Games series. That includes The Hunger Games, Catching Fire, Mockingjay, and The Hunger Games Trilogy. To get the most of the offer I suggest you pick up The Hunger Games Trilogy which contains all three books for the insane price of just $5.02** (it normally retails for $33.49)! * You'll need an ePub capable eReader or app to read the book. **It seems you can also pick up the individual titles separately for a total of $4.87 if you use the same discount code and alter the number each time (HungerGamesDeal, HungerGamesDeal2, HungerGamesDeal3). This should be especially useful for territories where the Trilogy edition isn't sold. The trilogy edition doesn't seem to be available in the UK. Fret not, since buying the individual titles which are available works out far cheaper. You can get The Hunger Games, Catching Fire and Mockingjay for £0.54 each by using the method described above. That's a grand total of £1.62 for the entire trilogy! Now's your chance to catch up with the Hunger Games before seeing the movie. Don't miss out! For countless millennia, the dwarves of the Fifthling Kingdom have defended the stone gateway into Girdlegard. Many and varied foes have hurled themselves against the portal and died attempting to breach it. No man or beast has ever succeeded. Until now. . . Abandoned as a child, Tungdil the blacksmith labors contentedly in the land of Ionandar, the only dwarf in a kingdom of men. Although he does not want for friends, Tungdil is very much aware that he is alone - indeed, he has not so much as set eyes on another dwarf. But all that is about to change. Sent out into the world to deliver a message and reacquaint himself with his people, the young foundling finds himself thrust into a battle for which he has not been trained. Not only his own safety, but the life of every man, woman and child in Girdlegard depends upon his ability to embrace his heritage. Although he has many unanswered questions, Tungdil is certain of one thing: no matter where he was raised, he is a true dwarf. And no one has ever questioned the courage of the Dwarves. Quick, think of a dwarf! Any dwarf will do. Get a clear picture in your mind. Got it? Good. So which dwarf immediately sprung to mind? For me it was Gimli from the movie version of The Lord of the Rings. He embodies all the qualities I would associate with the quintessential dwarf – limited height, long beard, brave and fierce in battle and of course that ingrained enmity towards elves. 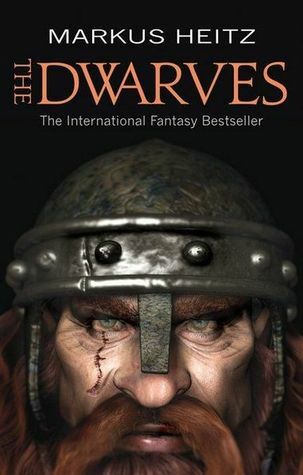 In The Dwarves, the first book in the Dwarves saga, German author Markus Heitz elevates the dwarven race from their humble role as one-dimensional supporting characters and turns them into the vibrant, compelling heroes they deserve to be. The main protagonist is Tungdil, a foundling dwarf who was raised by a human magus called Lot-Ionan. Tungdil hasn’t seen another dwarf in his life and he is completely disconnected from his dwarven heritage. His only knowledge about his race comes from books, which leads to some awkward and funny situations when he finally gets reunited with his kin. After being sent on a seemingly easy errand by Lot-Ionan, Tungdil finds himself thrust into the middle of dwarven politics when he is unwittingly put forward as candidate for High King. As Tungdil struggles to reconnect with his roots, evil suddenly overwhelms Girdlegard after one of the mages betrays the rest and brings down the magical barrier that has kept the Perished land at bay. Together with a band of companions Tungdil must set out to forge a magical weapon that can kill Nod’onn, the embodiment of the evil that plagues the land. The plot of The Dwarves is a pretty straightforward battle between good and evil and feels very derivative of the Lord of the Rings, which isn’t necessarily a bad thing. 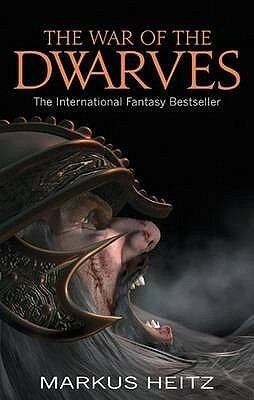 What sets the novel apart is the compelling characters and the intricate society Heitz has created for the dwarves. I was drawn to the characters, especially the bookish Tungdil and Boïdil, a beserker warrior who enjoys nothing more than cracking orcish skulls. While Heitz stays true to the general perception of dwarves and other fantasy races he deftly manages to add his own touches such as a dwarven love for melted cheese; the numerous dwarven societies, skills and how the clans interact; and the introduction of shadow mares, a terrifying antithesis of unicorns who enjoy trampling their victims to death and devouring their flesh. Without warning, one of the horses whipped round, jaws opening as it pounced. Sharp teeth closed around the orc’s shoulders and ripped out a sizable clump of flesh. Green blood spurted from the wound as the orc retreated, shrieking. A second orcish trooper drew his sword and made to fell the rabid horse. Before he could strike, the steed’s hind leg lifted and sped into the orc’s broad chest. There was a flash of blinding light and the orc was thrown backward, traveling several paces before crashing to the ground. The trooper had no time to right himself before the second horse was upon him. Its forelegs stove in his chest, hollowing his breastplate. His stomach burst with a sickening bang. In an instant the creature’s black jaws were at the orc’s unprotected throat. There was a sound of crunching bone and the orc’s anguished screaming broke off abruptly. The translation from the original German seems to have been superbly handled by Sally-Ann Spencer. After reading about some of the difficulties she encountered during the translation process I’m sure it was not an easy task. My only criticism would be that they decided to use the term ‘orbit’ to denote days. This substation didn’t really make any sense and I found it so irritating that it detracted from the story somewhat. Overall I enjoyed The Dwarves and the interesting insight Heitz gives into dwarven society. 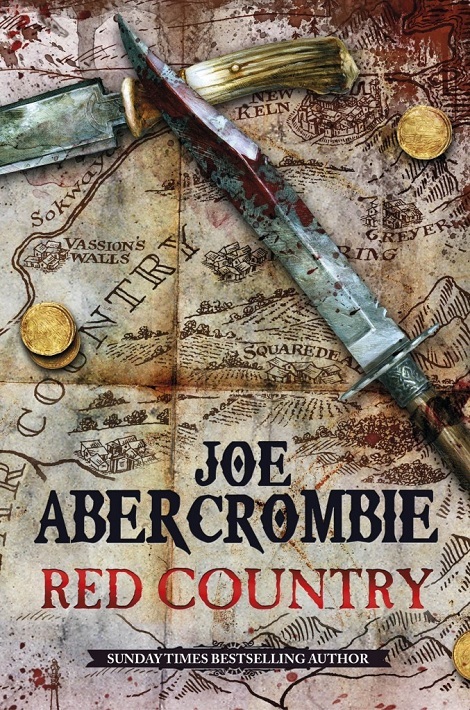 While the plot is quite predictable it’s still a gripping read with some very memorable characters. 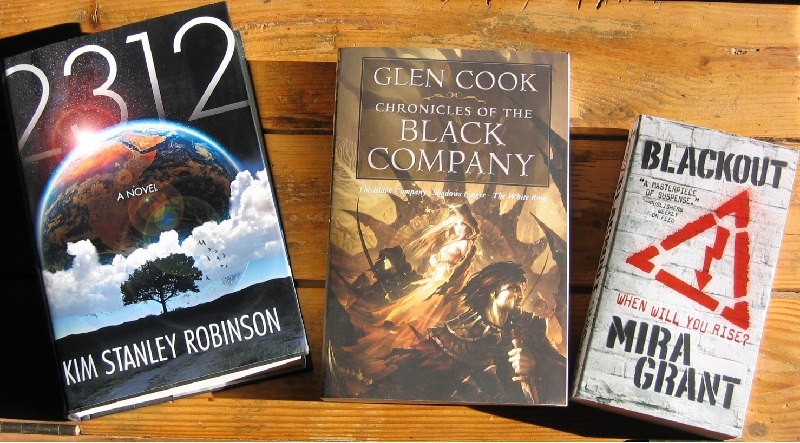 If you are looking for epic fantasy that’s less complex than what George R.R. Martin and Steven Erikson has on offer then this will definitely satisfy. I already have the second and third volumes, The War of the Dwarves and The Revenge of the Dwarves, waiting in my TBR-pile. The fourth book, The Fate of the Dwarves, will be released in August this year. I've been stuck in a reading slump lately. It's not that I'm not reading, I am, but I just can't get myself to the point of being able to write any coherent reviews. 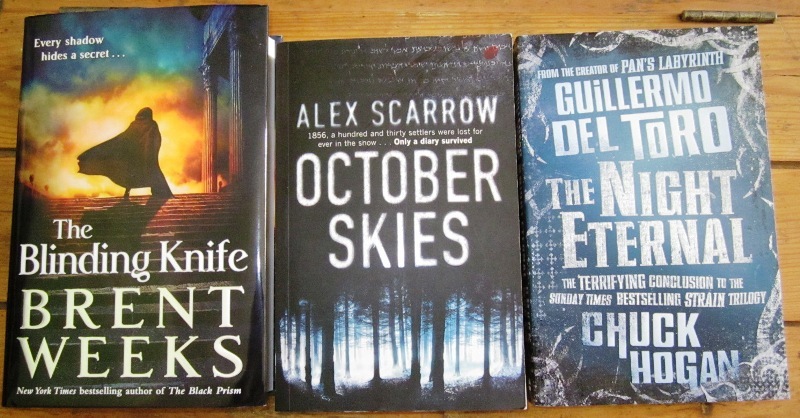 Until I get my reviewing mojo back I'm busy trying to catch up on my rather large TBR pile. Hopefully a good dose of 'just for fun' reading will remedy the problem. 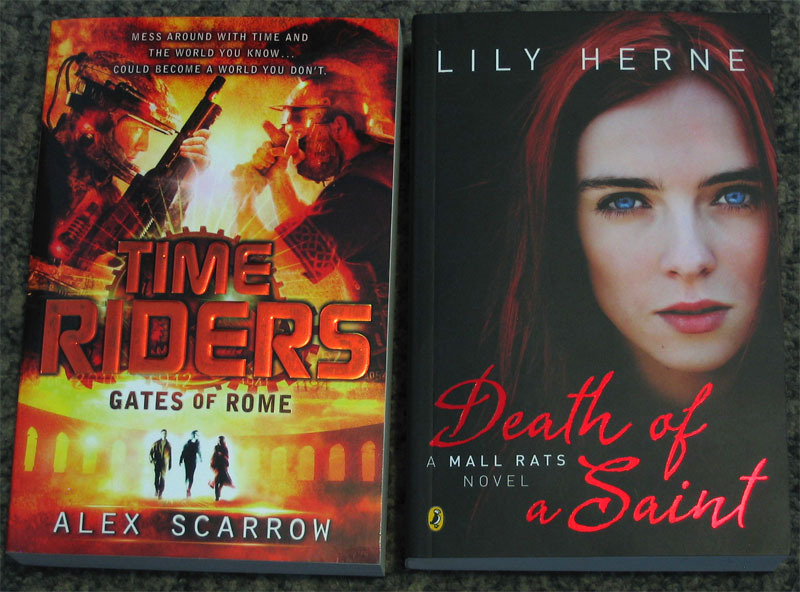 At least I got some awesome books during the last week which always manages to gladden my book addict heart. 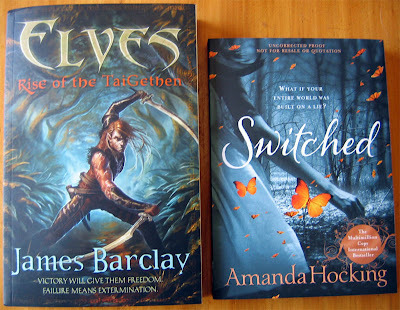 For review I received Elves: Rise of the TaiGethen by James Barclay from Jonathan Ball Publishers. This is the second book in the Elves series so I'll need to catch up on the first, Elves: Once Walked with Gods before I can get to this one. Thanks Andrea for sending me the review copy! And finally I also got an ARC of Switched by Amanda Hocking from Pan Macmillan SA. I'm not sure if I'll be reviewing it since it's far outside my normal genre preferences, but I might just give it a go anyway. 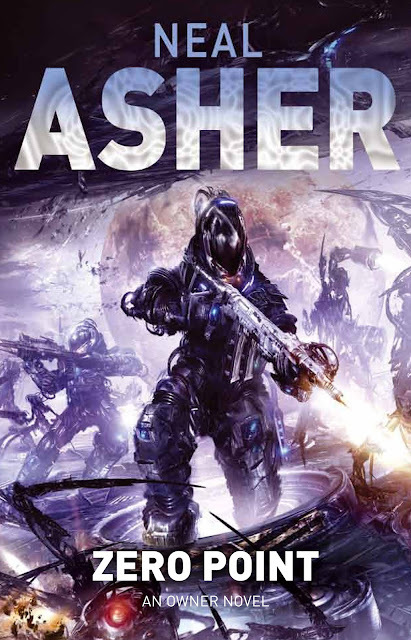 Neal Asher has just revealed the cover art and synopsis for Zero Point, the second book in the Owner trilogy, which will be released on the 2nd of August 2012. As usual the cover art is by the fantastically talented Jon Sullivan who did all the covers for the revamped editions of Neal's other novels. You really have to check out the image of the full dust jacket to get a sense for the true scope of the cover scene. 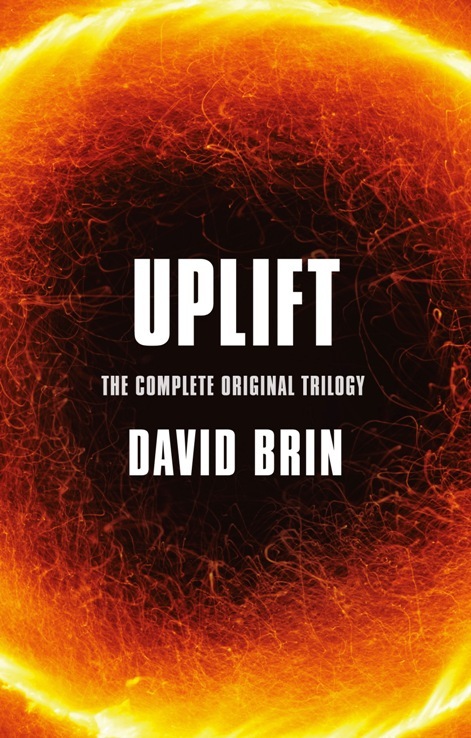 I really enjoyed The Departure, so I'm definitely adding this one to my wishlist. Based on the cover it looks like it's going to be one hell of a ride! Be sure to check out my earlier interview with Neal Asher where he discusses the Owner trilogy, his writing and his views on ebooks.